Brains—even relatively simple ones like those in mice—are daunting in their complexity. Neuroscientists and psychologists can observe how brains respond to various kinds of stimuli, and they have even mapped how genes are expressed throughout the brain. But with no way to control when individual neurons and other kinds of brain cells turn on and off, researchers found it very difficult to explain how brains do what they do, at least not in the detail needed to thoroughly understand—and eventually cure—conditions such as Parkinson’s disease and major depression. Scientists tried using electrodes to record neuronal activity, and that works to some extent. But it is a crude and imprecise method because electrodes stimulate every neuron nearby and cannot distinguish among different kinds of brain cells. A breakthrough came in 2005, when neurogeneticists demonstrated a way to use genetic engineering to make neurons respond to particular colors of light. The technique, known as optogenetics, built on research done in the 1970s on pigment proteins, known collectively as rhodopsins and encoded by the opsin gene family. These proteins work like light-activated ion pumps. Microbes, lacking eyes, use rhodopsins to help extract energy and information from incoming light. By inserting one or more opsin genes into particular neurons in mice, biologists are now able to use visible light to turn specific neurons on or off at will. Over the years, scientists have tailored versions of these proteins that respond to distinct colors, ranging from deep red to green to yellow to blue. By putting different genes into different cells, they use pulses of light of various colors to activate one neuron and then several of its neighbours in a precisely timed sequence. That is a crucial advance because in living brains, timing is everything. A signal issued at one moment may have the complete opposite effect from the same signal sent out a few milliseconds later. 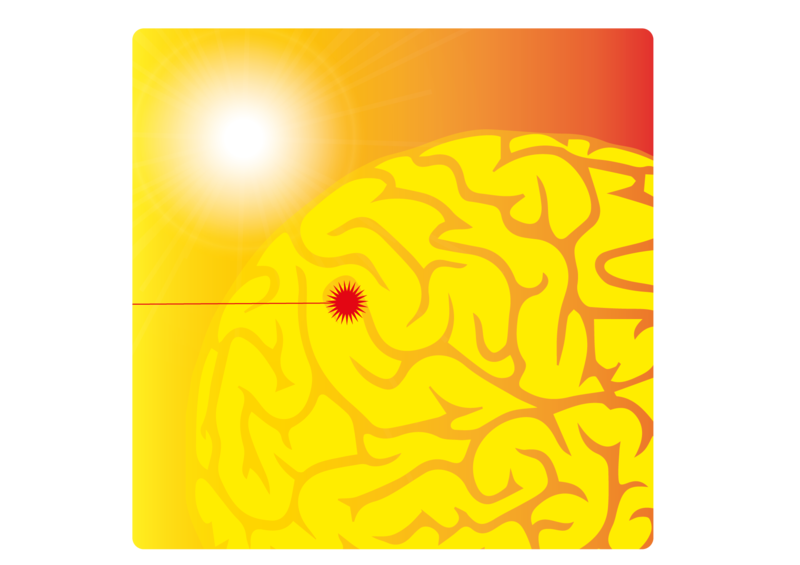 The invention of optogenetics greatly accelerated the pace of progress in brain science. But experimenters were limited by the difficulty of delivering light deep into brain tissue. Now ultrathin, flexible microchips, each one hardly bigger than a neuron, are being tested as injectable devices to put nerves under wireless control. They can be inserted deep into a brain with minimal damage to overlying tissue. Optogenetics has already opened new doors to brain disorders, including tremors in Parkinson’s disease, chronic pain, vision damage and depression. The neurochemistry of the brain is clearly important for some brain conditions, which is why drugs can help improve symptoms—up to a point. But where the high-speed electrical circuitry of the brain is also disturbed, optogenetic research, especially when enhanced by emerging wireless microchip technology, could offer new routes to treatment. Recent research suggests, for example, that in some cases non-invasive light therapy that shuts down specific neurons can treat chronic pain, providing a welcome alternative to opoids. With mental disorders affecting one in four people globally and psychiatric diseases a leading source of disability, the better understanding of the brain that advanced optogenetics will provide cannot come soon enough. This is part of a series on the top 10 emerging technologies of 2016, developed in collaboration with Scientific American.